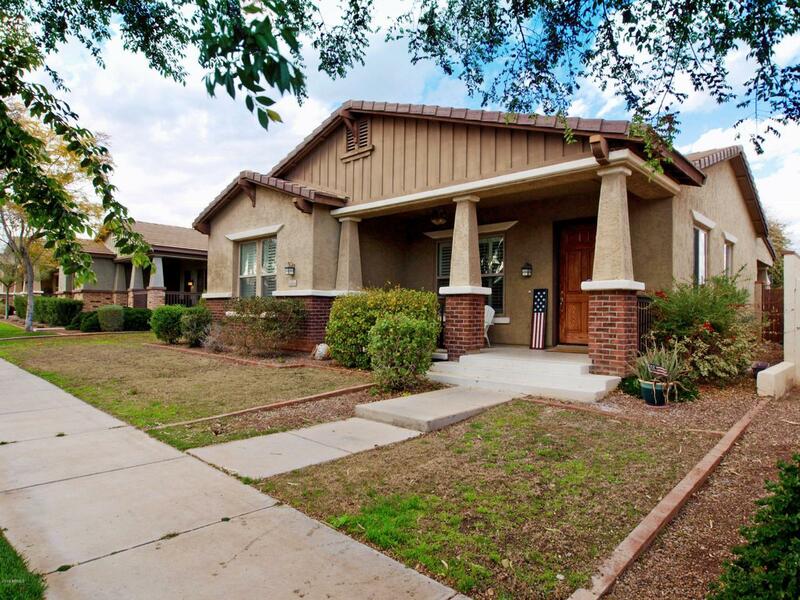 This Main Street District Verrado Single Story is on Woods Run Park. Offers a 3 Bedroom split floor plan, with hardwood floors, custom paint, plantation shutters, surround sound, upgraded kitchen, gas cook top, granite and more. You can relax on your front porch facing the park or retreat to the backyard with a covered patio, TV, built in grill area, fire pit, and spa. Verrado offers, tree lined streets, sidewalks, quality schools, shops, restaurants, golf, community pools, workout facility and... Verrado is a must see in the West Valley.